This gray holographic will become a fall and winter staple for me. The linear shift is subtle, yet noticable. It has a stellar formula like most from this brand, opaque in two coats. 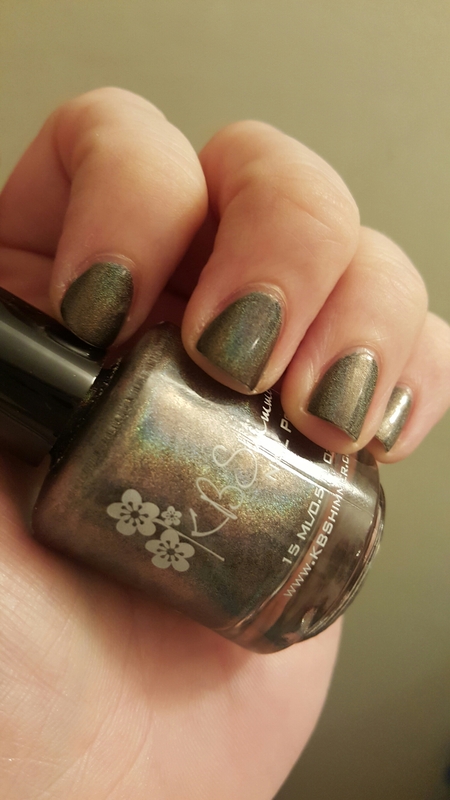 This entry was posted in Nail Polish Collection and tagged gray, holographic, indie nail polish, kb shimmer, nail polish, swatch, swatches on April 13, 2016 by Mel. Without flash and with flash. 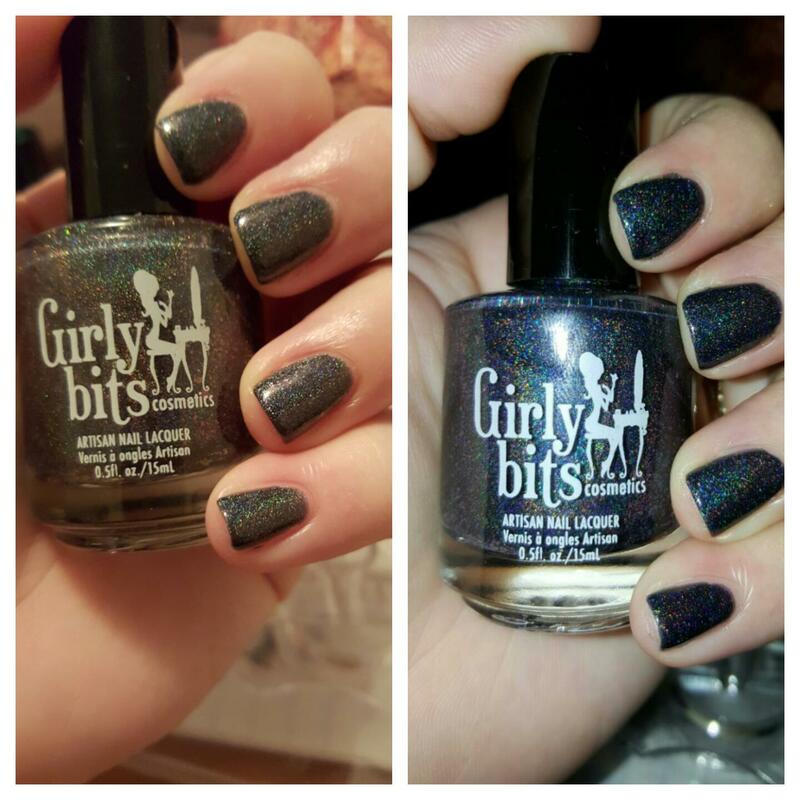 This lovely has a greeny-gray base with a linear holographic shift as well as scattered holographic glitters. It’s lovely and opaque in 2 coats. 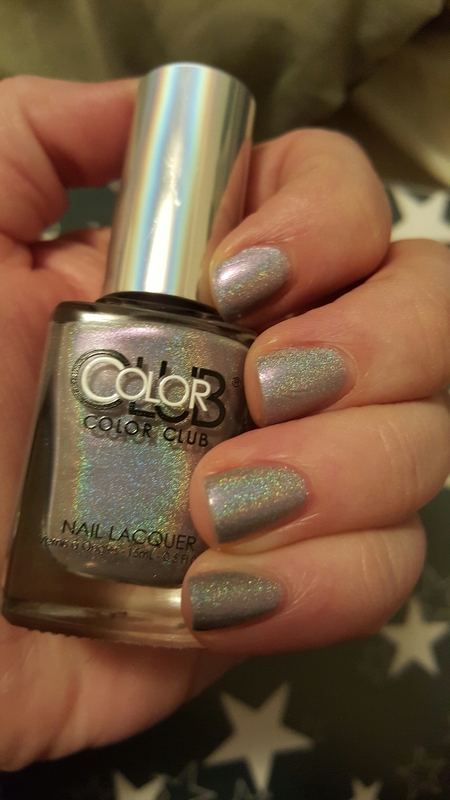 This entry was posted in Nail Polish Collection and tagged girlie bits, glitter, gray, holographic, indie nail polish, indie polish, nail polish, swatch, swatches on March 30, 2016 by Mel. 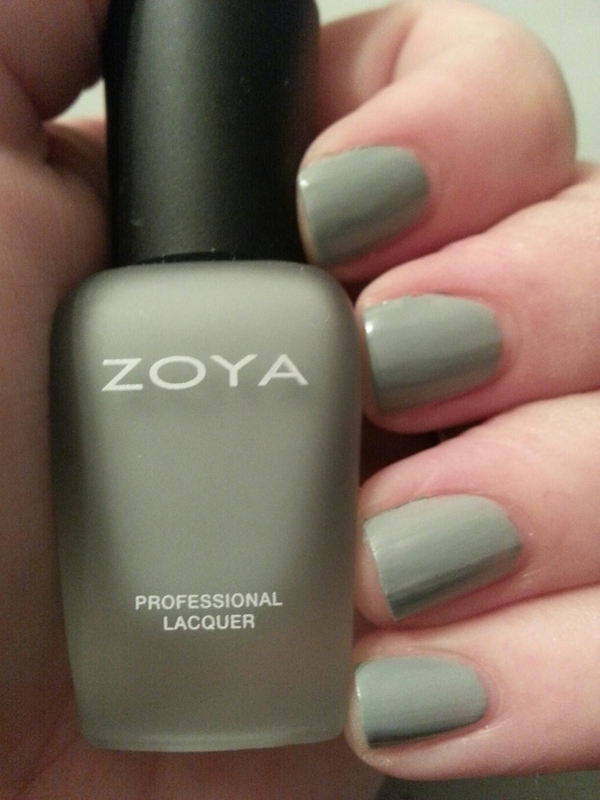 This gray satin matte is opaque in 2 coats. 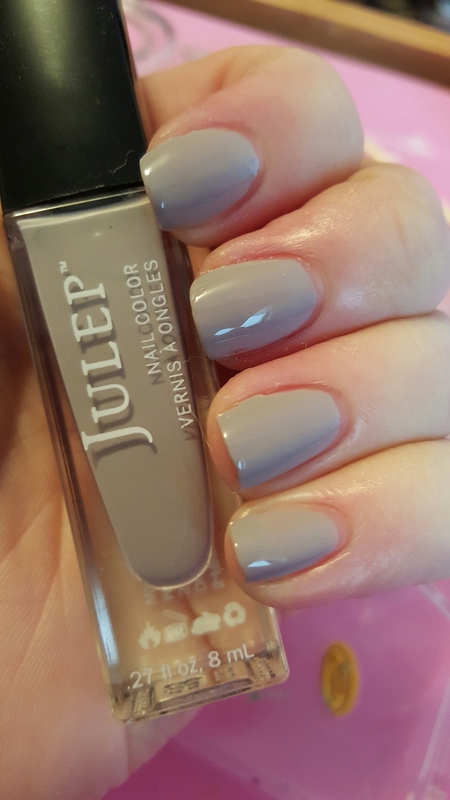 This entry was posted in Nail Polish Collection and tagged gray, matte, nail polish, swatch, swatches, zoya on November 26, 2015 by Mel. Braiden is a gray textured glitter, opaque in 2 coats. 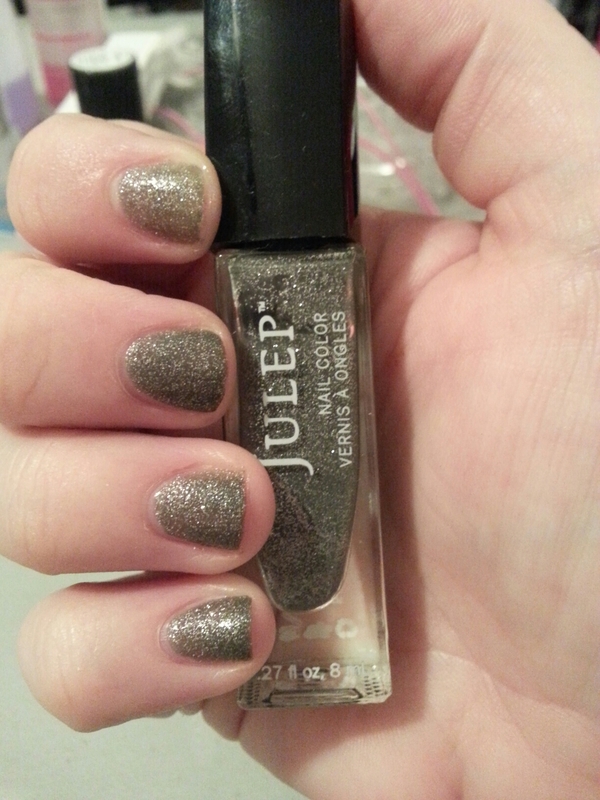 This entry was posted in Nail Polish Collection and tagged glitter, gray, julep, nail polish, swatch, swatches on November 9, 2015 by Mel. My Voice is a Little Norse – O.P.I. This steel gray glitter contains some holographic winks. You can get it full coverage in 2-3 coats. Pictured here is 2. This entry was posted in Nail Polish Collection and tagged glitter, gray, nail polish, o.p.i., swatch, swatches on October 27, 2015 by Mel.